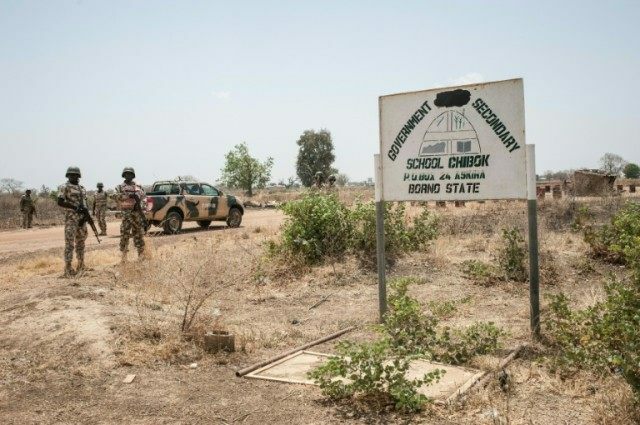 Kano (Nigeria) (AFP) – Boko Haram has sent a “proof of life” video which shows 15 of the more than 200 girls abducted by Islamist fighters from the northeast Nigerian town of Chibok two years ago, CNN reported on Wednesday. The video showed the girls wearing black hijabs in an unspecified location, stating their names, that they were taken from Chibok and the date of the recording — December 25, 2015, the broadcaster said. Nigeria’s information minister Lai Mohammed told CNN the girls in the video appeared “under no stress whatsoever” and there had been “little transformation in their physical appearance”. Elsewhere in Nigeria, protest marches were planned as the culmination of a week-long series of events organised by the #BringBackOurGirls movement to renew calls for the girls’ release.